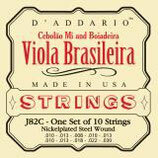 String Gauges: .012/.012, .014/.014, .009/.020w, .012/.024w, .014/.034w. 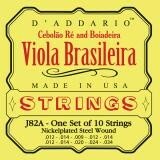 This strings are manufactured from nickelplated steel wound strings and tin plated plain steels, optimized for Cebolao Re and Boiadeira. 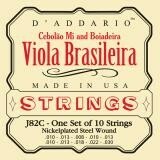 String Gauges: .011/.011, .013/.013, .009/.018w, .012/.026w, .014/.036w. 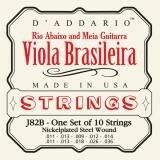 This strings are manufactured from nickelplated steel wound strings and tin plated plain steels, optimized for Rio Abaixo and Meia Guitarra. 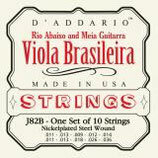 String Gauges: .010/.010, .013/.013, .008/.016w, .010/.022w, .013/.030w. 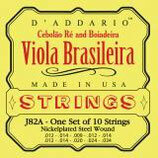 This strings are manufactured from nickelplated steel wound strings and tin plated plain steels, optimized for Cebolao Mi and Boiadeira.